Sharoykina isn’t sure how the draft bill to criminalize GMO production would be enforced in day to day practice, since it would be hard to prove links to GMOs and health and environmental problems, but many have pointed out that there are already several studies which have proven this very fact. Foe example, with the assistance of The A.N. Severtsev Institute of Ecology and Evolution, the GSPA conducted a study in 2010 which proved hamsters fed GM soy could not have a third generation of offspring. Nevertheless, even Russian officials once tried to push GM products on people, fortunately, but only recently changing their stance. A chief inspector at Rospotrebnadzor (the Federal Service for Supervision of Consumer Rights Protection and Human Well-Being), Gennady Onishchenko, spoke about GMOs at the Nevsky International Ecological Congress on May 21, 2013. He said that biotechnology, including genetic modification, is necessary to ensure the world’s population has quality food in a sufficient quantity. GM crops are often made to resist pests, inclement weather, and other factors that impact crop health. A month later, at a meeting of the Federation Council, Onishchenko said he considers GM products a scientific achievement, but he recognizes the risks involved in their use. This same inspector later left his controversial post. While the original A.N. Severtsev Institute study was helpful to show that GM foods cause reproductive failure in just three generations, it was an underfunded experiment which needs more comprehensive analysis. This study will now be conducted in Russia. The GSPA is raising funds from multiple sources as a means to conduct – the first-ever independent international research on GMO. As of April, Prime Minister Dmitry Medvedev told Russian MPs that they would not plant any more GM seeds for at least three years. 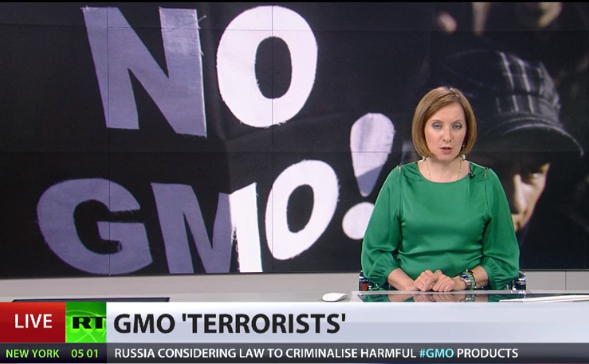 This is ample time to conduct studies which will prove, once and for all, that GMO is nothing more than a biological weapon. of the future of their nation, they should check Ukraine. Russia is correct. 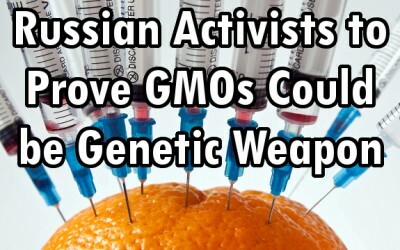 The purpose for creating GMOs is to use food as a weapon. Kissinger said control the food control the people. After WWI the Elite supported eugenics, the precursor to genetics. They now back GMOs. When the terminator seeds are introduced into the system, they will have complete control of our food supply. They will be able to control countries without firing a shot, Just withhold food if they don’t obey Big Brother. That GMOs may be bad for your health is an added benefit to the eugenists. The weak die the strong survive. And money is made off their illness. Why are we Americans allowing our politicians to systematically kill us with their greed!!! Wake up fellow Americans and smell the rotten & ugly GMO secrets!! You need to act now to protect yourselves, your children & grandchildren and your pets!!! Please read this and share ~ we need to get the word out! The study you reference is an observational study about ectopic hair growth in rodents. The authors don’t know why it occurred, and they clearly state it in the second to last paragraph. This hair growth might even happen in wild rodents, but they don’t know. Hundreds of cities worldwide are hosting events, google ‘March Against Monsanto Events’ to find the one nearest you and join millions marching to save the pollinators and take back our food!! 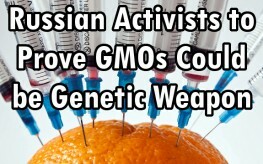 Russia Rocks when it comes to GMO’s! They also protected their people from the use of microwaves due to the destruction of nutrients and changes in molecular structures of foods cooked in microwave ovens. Are our leaders protecting us or throwing us under the bus? Not looking too good here!